Hey everyone! Travis back with another update for the 2010 Florida Strawberry Festival, one of the best Tampa Bay area events throughout the year. The 75th Annual Florida Strawberry Festival will again host its annual Shoebox Float Contest. This Contest is open to Hillsborough County Students currently enrolled in grades 1 thru 6...so get your imaginations ready! 1st, 2nd and 3rd place trophies will be awarded from each group and all entries will be on display at the 2010 Festival, March 4th – March 14th. 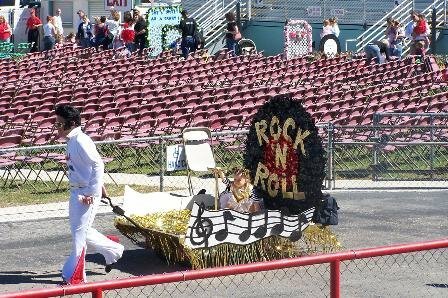 If you are interested in participating, Shoebox Float applications are now available at the Festival office located at 2202 W. Reynolds Street or may be downloaded from their website: www.flstrawberryfestival.com. Completed applications should be mailed to: Shoebox Float Contest - P.O. Drawer 1869, Plant City, Fla. 33564-1869, and postmarked no later than Monday February 16, 2010. And, you should definitely makes plans to “Come Celebrate With Us!” (that&apos;s this year&apos;s theme) at the 75th Annual Florida Strawberry Festival and witness in person these fun-filled and fabulous Shoebox Floats that will be on display in the main exhibit building throughout the Festival! Again, just head over to www.flstrawberryfestival.com for more information about this year&apos;s event. And as always, keep checking back for more great things to do in Tampa Bay and other Tampa Bay entertainment options!